This beacon is used to locate your lost RC craft. 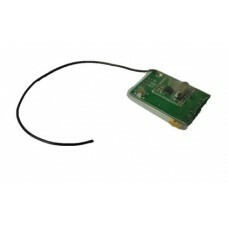 It features an integrated battery and a USB port for charging and programming, and an external output to connect a buzzer or LED. This beacon is perfect for finding your lost model aircraft. It transmits a signal on three different power levels. With a simple walkie-talkie and a directional antenna, you can locate your model by tracking the strongest signal. Turn it on using the switch on the side, and you're ready to fly. After usage it can be plugged into a USB charger to charge the integrated battery, or it can be charged in-flight by the main flight battery. When you power on the beacon, it starts transmitting after a delay time. The best delay time is usually your normal flight time. While flying, the beacon does not transmit, which extends battery life. If you have not landed and powered off the beacon after the delay time, it starts transmitting, and you can localize your plane. We pre-program the operating frequency and delay for you, but you can change the delay and operating frequency yourself with the downloadable software or the button on the device. Standalone unit, with its own battery for reliability. Long battery life and low power consumption (twice the battery capacity as V2). 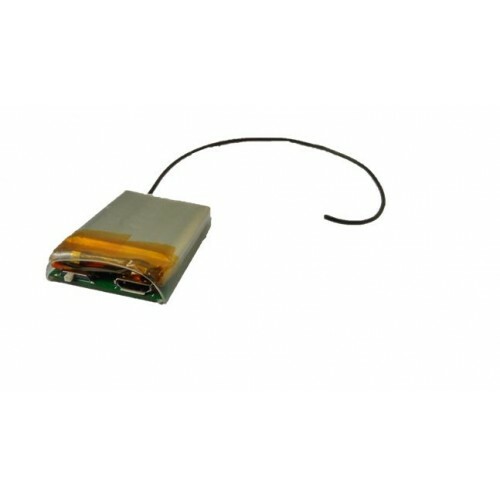 Configurable with the computer (micro USB) or button interface. Programmable output to connect a buzzer or LED.